If you’re not a skimo racer, or a trail runner, the name Mike Foote probably isn’t on your radar. This March, the Missoula, Montana based professional ultra runner and U.S. Skimo Team member set out to break the world record for most vertical feet climbed and skied in 24 hours. On a 1,020 vertical foot course at Whitefish Resort, it would take 59 laps to put his name in the record books. 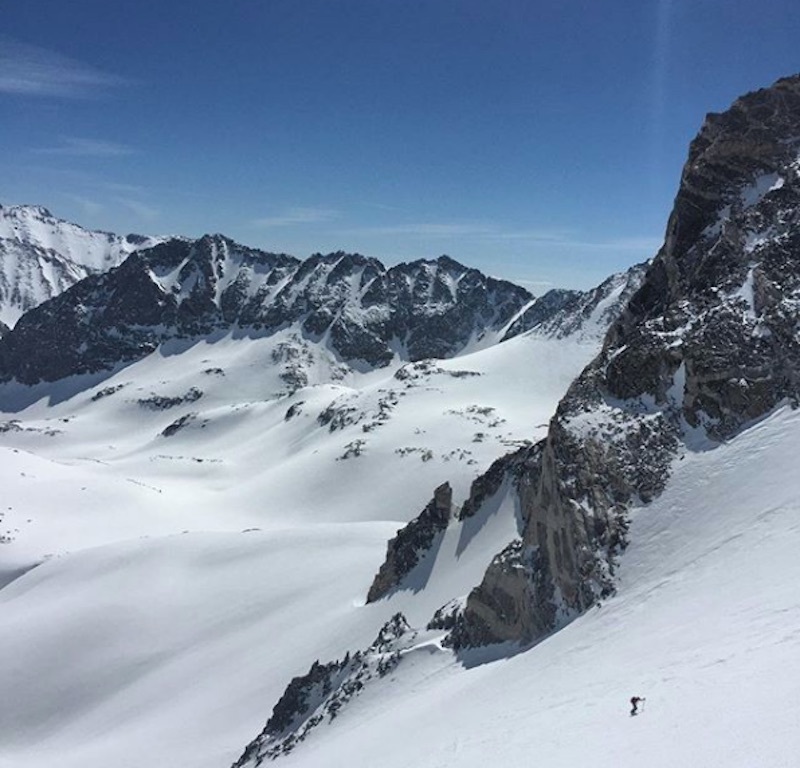 Foote was logging absolutely huge days in the mountains by December to prepare for this attempt and climbed 42,000 vertical feet over two days back in February. If you’re thinking, “I could do that,” forget about it. You can’t. In the summer months, Mike runs 100+ miles a week in the mountains and last year finished second to the one and only Kilian Jornet at Colorado’s infamous Hardrock 100 mile trail run. He has also completed epics like the Crown Traverse, running 600 miles through grizzly bear country from his front door in Missoula to Banff, Alberta. Having had the pleasure to run with Mike a few times, I’ve witnessed first hand the mental and physical strength a feat like this requires. He’s always got a smile on his face, doesn’t have a drop of ego in his body, but will leave you in the dust the second the trail tilts towards the sky. Don’t let the spandex fool you, as a former ski patroller, Mike can ski downhill just as well as he goes up. In the end, Mike Foote skinned and skied 60 laps, covering 77 miles, for 61,200 vertical feet and a new world record. Congratulations Mike!